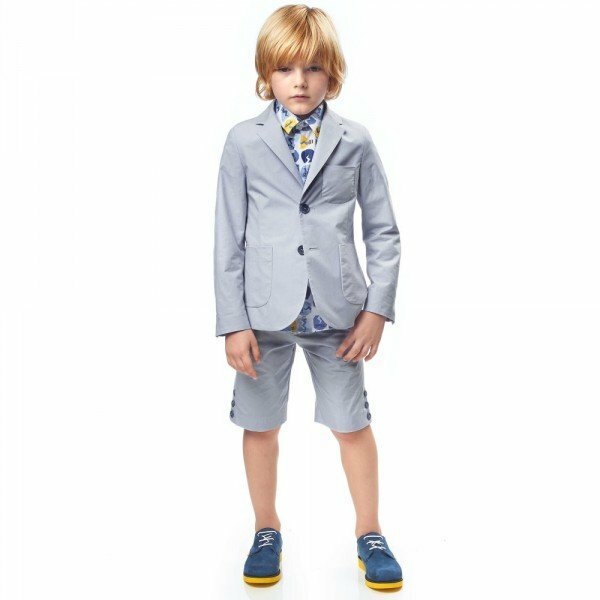 Love this FENDI Boys Grey & Yellow Logo Jacket & Striped Shorts from the Spring Summer 2018 Collection. 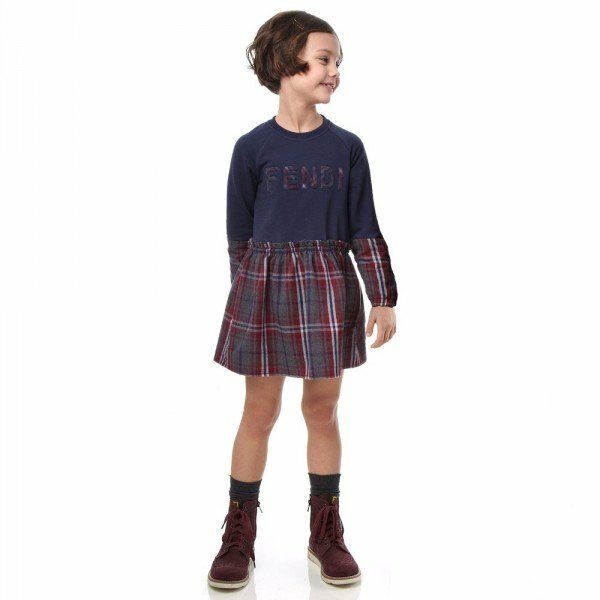 This fun streetwear look by Fendi Kids features an all-over, colorful logo print and bright yellow lining. 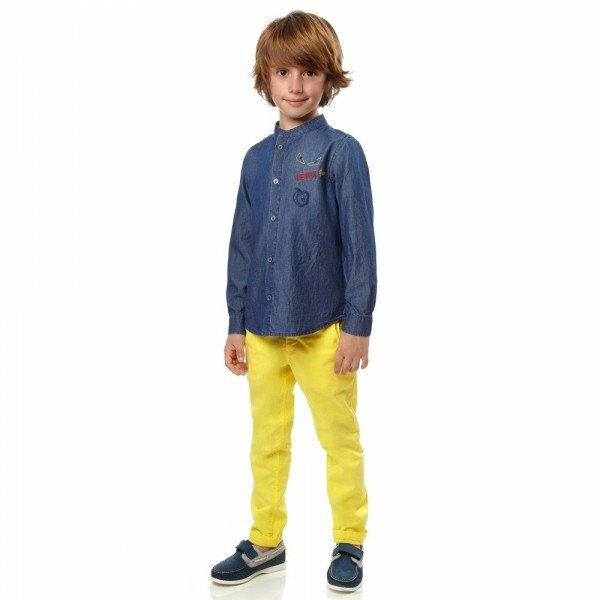 Looks perfect with a pair of FENDI Yellow & Beige Stripe Shorts in a longer length for boys. Complete the look with a pair of FENDI Boys White ‘Bag Bug’ Sneakers with the iconic Bag Bug eyes stitched on the side in blue. Now on SALE!